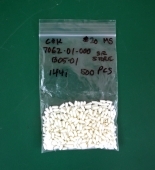 Bag of 100 New DL Cannon crimp Type Pins (Contacts) for multipin DL connectors as used on SSL consoles and other pro audio equipment. "Lot Of Approx. 500 Pcs. 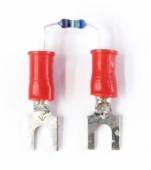 C&K 7062 White Cap For Miniature Toggle Switches. 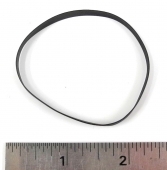 Pliable plastic material, approx. .32"" long." Rox Bipolar +18 And -18 vdc 830ma PCB Power Supply For DIY Projects, Etc. New Original Replacement 27mm Brush Assembly for Penny & Giles Faders. Canare BCJ-XP-TRB Digital AES Balun BNC-XLR Male Transformer. Dolby CAT. No. 22 A-Type Noise Reduction Module, Fully Tested, Guaranteed. NOS Panasonic REM0001-2 Motor, Guaranteed. Used Audio Kinetics AK 210-005 Issue 1 Logic Board, Untested, As Is. NOS C 80034 Belt For Nakamichi Cassette Decks Etc. Canare BCJ-XP-TRB Digital AES Balun BNC-XLR Male Transformer w/BNC Cable. Aphex 124 -10 / +4 Studio Interface For Synths, PC, Tablet DVD CD Phone Etc. 2 Aphex 124 -10 / +4 Stereo Interfaces Synths, PC, Tablet DVD CD Phone Etc.